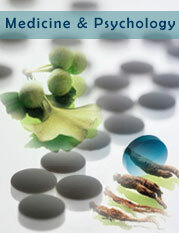 In homeopathic system of treatment, during case-taking, “mental make-up” of the patient is taken into major consideration for the selection of the medicine. The way the health professionals think about physical illness has changed considerably in the last few decades. The traditional thinking that the physical illnesses are purely biological phenomena has changed. They are now considered to be of biopsychological origin. It does not mean that the biological factors are unimportant. The biological factors affect in the influential psychological context. Prior to the twentieth century the contagious diseases caused by infectious agents (biological factors) were considered to be major health threats. But improvement in nutrition, public hygiene, sanitation and medical treatment has dominated these so called leading killers. The threat of these leading killers is replaced by chronic diseases which develop gradually, for instance, heart diseases, cancer, stroke, asthma, epilepsy, some skin diseases and so on. Psychological factors play a major role in developing chronic diseases than they do in contagious diseases. Generally during the treatment of these violent chronic diseases, the mental, emotional and psychological causations are least, rather not taken into consideration. The eighteenth century German Physician and the father of homeopathy Dr. Samuel Hahnemann in his books Organon of Medicine and Chronic Diseases took into consideration the fact that the mental conditions are fundamental basis of physical illnesses. In later times Homeopathy was considered to be the most effective therapy in curing chronic diseases. It is so considered even more in recent times. There are many examples that we can site in support of this fact, here I want to take the example of Carl Jung, the doctor and father of modern psychology. He had developed a chronic skin disease known as Eczema. He himself considered it to be of emotional origin. The prolonged emotional stress in his mind was due to his mentally deranged mother, who was hospitalized for a few months. Sigmund Freud, another famous German psychologist and friend of Jung, depended extensively on dream analysis in his treatment of patients. During classical homeopathic case-taking, dreams are also taken into major consideration. Another 20th century psychologist Hans Selye formulated an influential theory of stress reactions called the General Adaptation Syndrome. The theory is a model of response to different kinds of mental stress in three stages. The first is alarm, the second is resistance and the third is exhaustion which is decrease in body’s resources for fighting. In prolonged third phase the resistance of organism declines leaving a suitable platform for different physical illnesses. Physical ailments with a genuine organic basis are caused partially by psychological factors, especially emotional distresses. These are called psychosomatic diseases, which include hypertension, ulcers, irritable bowel syndrome, asthma, skin diseases such as eczema and hives, migraine and tension headaches. While investigating the cause of coronary diseases Mayer Friedman and Ray Rosenman found that apart from other common causes, stress is a major factor. Some other stress related diseases found by the researchers are rheumatoid arthritis, vaginal infections, oral infections, menstrual discomfort, herpes, chronic back pain, female reproductive problems, complications of pregnancy, diabetes, hernias, glaucoma, toxic goiter, hemophilia, tuberculosis, blood cancer, stroke. From the above and so many evidences we can conclude that the mental makeup of the individual plays a major role in determining the receptivity of the disease. We usually discuss on many medicinal matters and our major concern is the attitudes among many people in hiding diseases, in South Asian countries. We know that hiding occurs due to the fear for social embarrassments. Consequently we have been approaching to each other to organize public awareness seminars on the topics like Hiding and Suffering. Here the approach of homeopathy fits from one very important angle that the mental conditions greatly help in our prescription.